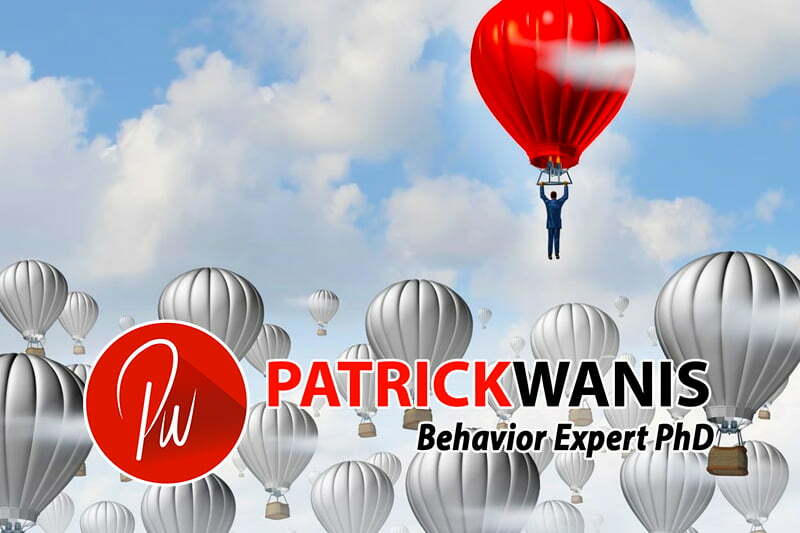 Jan 29, 2019 /in Success Newsletters /by Patrick Wanis Ph.D.
Do You Have High Potential? 6 Key Traits Predict Your Success! In this week’s Success Newsletter, I would like to reveal the 6 traits that constitute high potential and determine your success. Now, let’s talk about the 6 traits that constitute high potential and determine your success. Has anyone ever said to you that you have such high potential? ‘High potential’ refers to a high probability of success. Are there specific behaviors and traits which identify you as having ‘high potential’? You are probably thinking of such things as IQ, emotional intelligence, introversion-extraversion and your ability to get along with people as predictors of success. However, two psychologists Ian MacRae and Adrian Furnham of University College London and Martin Reed have authored a book “High Potential” and in it they identify six traits which, they argue are consistently linked to workplace success. MacRae and Furnham argue that there is an optimal range that predicts success; excessive traits can derail or undermine you depending on the work you do and; even if you fall out of the optimal range, you can receive help and improve. Do you focus on goals and how to reach them, and are you self-motivated with impulse-control or, do you tend to be more easy-going, spontaneous and open to new insights? In excess, Conscientiousness can result in you getting lost in the details, being overly rigid or highly inflexible. Are you calm under pressure with fewer feelings of stress or, do you experience stress and worry? Are you able to see problems as an opportunity for growth? Adjustment scores indicate how individuals react emotionally to stress, external events, pressures. People with low adjustment scores tend to think more negative thoughts and become preoccupied with negative emotions. They are more likely to be self-conscious about their work and how they behave around others. They can become preoccupied with the opinions of others and may worry about what others would see as trivial issues. High adjustment is often related to feeling positive about one’s own work and relationships. Those with higher adjustment can shrug off stresses and strains. In excess, Adjustment can result in you losing your core values and drivers. Do you like novelty, learning and variety, are you flexible & creative in your approach or, do you prefer tried and tested methods and consistency? This describes how people approach innovation, change, new information, methods and approaches. High scorers tend to search for new information and alternative methods of getting work done but may undervalue existing work methods. Lower curiosity values tried and tested approaches, can be suspicious of new information and may dislike experimenting with new techniques. In excess, curiosity can lead you to losing sight of the goal, flittering from one project to another and failing to complete the project. Are you proactive in confronting challenging situations and difficult conversations or, are you passive or reactive in your responses to potential risk? Are you willing to experience uncomfortableness to resolve a situation or challenge? Risk approach indicates how someone deals with challenging, difficult or threatening situations. People who score high consider a broad range of options, choose whichever they believe to be the best one and then act quickly. They are willing to confront challenges directly and immediately. Individuals with lower risk approach scores tend to avoid challenges or conflict until they have no other choice. In excess, risk approach can lead you to taking too many risks and creating dangerous situations. Do you thrive on uncertainty and complexity or, do you prefer clear-cut answers and solutions? Are you open to multiple viewpoints and complex opinions & arguments before making a decision? Ambiguity acceptance describes peoples’ reaction to complexity and contradictory information: situations where outcomes, decisions and evidence are not immediately obvious or clear. Individuals with high ambiguity acceptance enjoy such situations. Individuals with low ambiguity acceptance prefer straightforward problems, situations and solutions. In excess, ambiguity acceptance can cause you to lose yourself and your direction; lacking ambiguity acceptance can cause you to become dictatorial and close-minded. Do you enjoy positions of power, influence and recognition or, do you prefer cooperation and collaboration, and dislike the spotlight? Do you motivate yourself and others via competition and encouragement? Competitiveness describes peoples’ relative desire to win, need for power and reaction to winning and losing. Individuals with higher competitiveness need to feel that their achievements are recognized and appreciated. Higher competitiveness can drive performance and a desire to self-improve. Individuals with lower competitiveness feel less need for control and are less focused on rewards or recognition. In excess, competitiveness can cause you to become unhealthily envious, egotistical and arrogant. MacRae and Furnham caution that the “HPTI traits are important, but are not the only ingredients of senior leadership potential and effectiveness”; other factors that play a role are “values, knowledge, motivation, intelligence, and skills.” Accordingly, personality (including “effective social functioning”) plays an even stronger role than reasoning abilities in determining the realization of your high potential: you are in control of your success! If you need personal help to remove the blocks to your success and release your potential, book a one-on-one session with me.